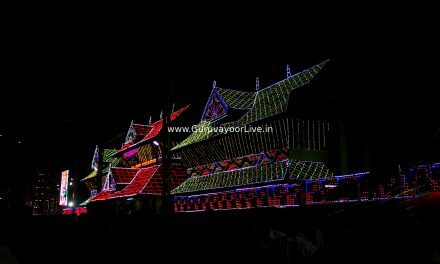 To Travell From Guruvayur To Thrissur Follow The Given Directions. 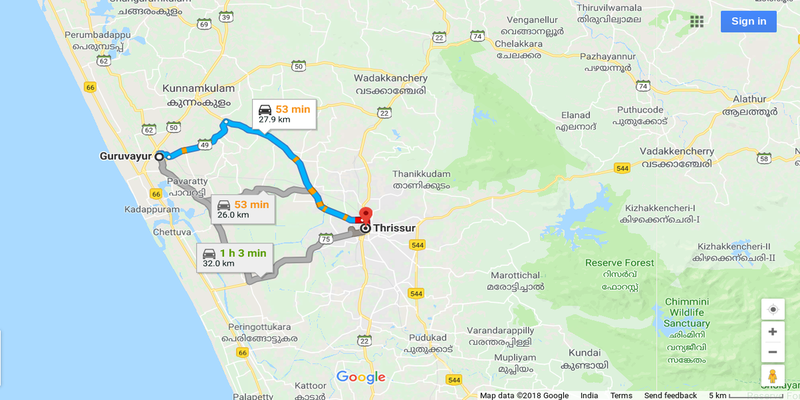 Guruvayur To Thrissur - follow the directions mentioning here, 57 min ( 26.0 km ) via Parappur – Pavaratty Rd, Fastest route now due to traffic conditions. 57 min ( 27.9 km )via SH49 and Thrissur- Kuttippuram Rd, Slower traffic than usual. 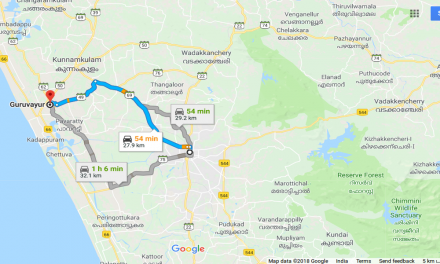 1 h 5 min ( 32.0 km ) via Chavakkad – Kanjani Rd /Chavakkad.